It can also strengthen your relationship with your customer and help turn them into advocates. When done wrong however, they can be more irritating than a hawker selling bracelets on a Bali beach. We have put together our top 10 tips for creating the best abandoned cart emails, as a checklist for you. When followed, these steps can help win back your sales and drive repeat business. We have also put together some free abandon cart email templates you can take and make your own. Studies by CMO.com found that emails comprising additional product recommendations increase the conversion rate by 2% to 5%. Adding new personalised options in the abandoned cart email that the consumer may not have considered, not only boosts your bottom line, but it adds value for the consumer by identifying new ‘like’ or complimentary options based on their history. Not only can you increase the chance that the customer will go on to complete checkout, but you can increase the value of the sale. The most obvious abandoned cart email, asks you to return to your cart to complete your purchase. But this is a chance to start a relationship with your customer where you provide them with real customer service and additional value. 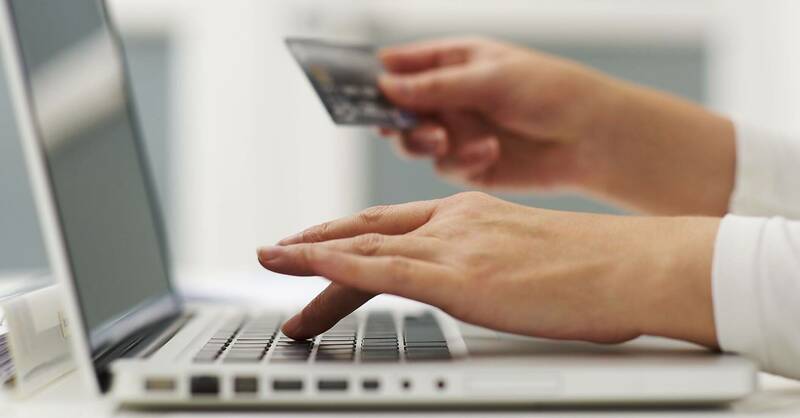 Technical difficulties may be the reason they didn’t complete checkout, which is very frustrating, but you can use this as your opportunity to act fast and reduce the frustration your customer may have experienced. Remind them of what was in their checkout, but also ask if there are any problems you can help with. Let them know that you are serious about customer service and are always striving to do better, so any feedback they had on how you could improve their experience would be welcome. Images of the cart items, rather than just line items are more effective drivers of action. They remind the customer why they added them in the first place creating more impact. In addition, having an image that portrays an emotion such as the sadness or frustration that may result in the customer missing out on their cart item. Such visuals are relatable and more likely to elicit an emotional reaction. Pets and children portraying these emotions are a big crowd pleaser. While writing is time-consuming and for some, does not come easily, it is a crucial element to ensure your cart abandonment emails drive action. You need a subject line that is personal and gets the customers attention. Copy that is punchy, yet customised. You need to show the personality of your brand in a way that resonates with the receiver, and offer help with a way to contact you easily. If you have inventory stock control, you can send a very specific message, based on an item in the customer’s abandoned cart, for example: there is only 1 item left in size small. This creates value for the customer by giving them a heads up that they might miss out on the item. It is also great for you, as urgency drives action. You can also use a more general approach to instill a sense of urgency that is not based on actual stock levels. You could say that you’ve noticed that they still have a particular item in their cart that has proved to be one of the store’s most popular. As it is not reserved, it could sell out before they have had a chance to return and you wanted to give them a heads up. Then provide them with a direct link back to their cart. You can select a range of the popular items in your store, and when a customer has one of those items in an abandoned cart, this triggers the email to be sent. FOMO is real and it drives action. Make sure you segment your customers by where they live. In Australia for example we have very different climates in each state. It can be a top of 30 degrees in one state, while being 5 degrees in another. This is important for personalising your emails for the specific customer’s situation. Another reason to segment on location is if you have shipping restrictions. It is a frustrating experience for the consumer when they have gone through the whole checkout process to shipping, only to find the products can’t be shipped to their location. In this situation, you definitely don’t want to aggravate them more by sending them an abandoned cart email to complete their purchase. 7. Make it mobile friendly. With the most recent data showing that almost 55% of emails are opened on mobiles, it is an absolute must that your abandoned cart emails be optimised for mobile viewing. You should also check your own analytics for your own actual breakdown, to see which devices your customers are most commonly using to view your website store and your emails… Then you can make sure your content is optimised properly. Make sure that you only include the one call to action button for each cart abandonment email. If you want to solve more than one problem for your potential customer, create a sequence of emails to keep it simple. You need just one clear action button for each email. It may be to click to complete their checkout, click through to add more items to their cart based on your personalised suggestions and then complete checkout, or it may be to seek help from you. Whatever the goal of each email, you need to make it very clear which button you want them to push. Too many options will create confusion and reduce the chances of them clicking through to anything. Make sure your abandoned cart automation sequence is no more than 3 emails. With the first being within 2 hours and the last being around a week later. Studies have shown that around 41% of customers who abandon their carts, do so because they are just not yet ready to purchase, so leaving your last email until later can be very effective. Where possible, use A/B testing to see which email templates are the most effective. Try testing subject lines, send times, copy, and different call-to-action buttons. Make sure you track engagement, bounce rate, conversion rate and unsubscribes. Actively look for patterns and signs of what works and what doesn’t to drive action. You want to make sure you don’t harass your customer with your abandoned cart automation sequence. They may have already purchased elsewhere, or as mentioned, they just may not be ready to purchase. You do not want to annoy your customer to the point of unsubscribing, but you do need to make sure you always have an unsubscribe link at the bottom of the email. Lastly, the one thing to remember above all when actioning these points… Don’t irritate the customer! Make sure that your automation is designed specifically to provide better customer service and add value to the customer’s online shopping experience. We have created some handy abandoned cart email templates that you can take and use for your own business. Just fill in your details below and we’ll send you them straight to your inbox, so you can start using them in your business today!